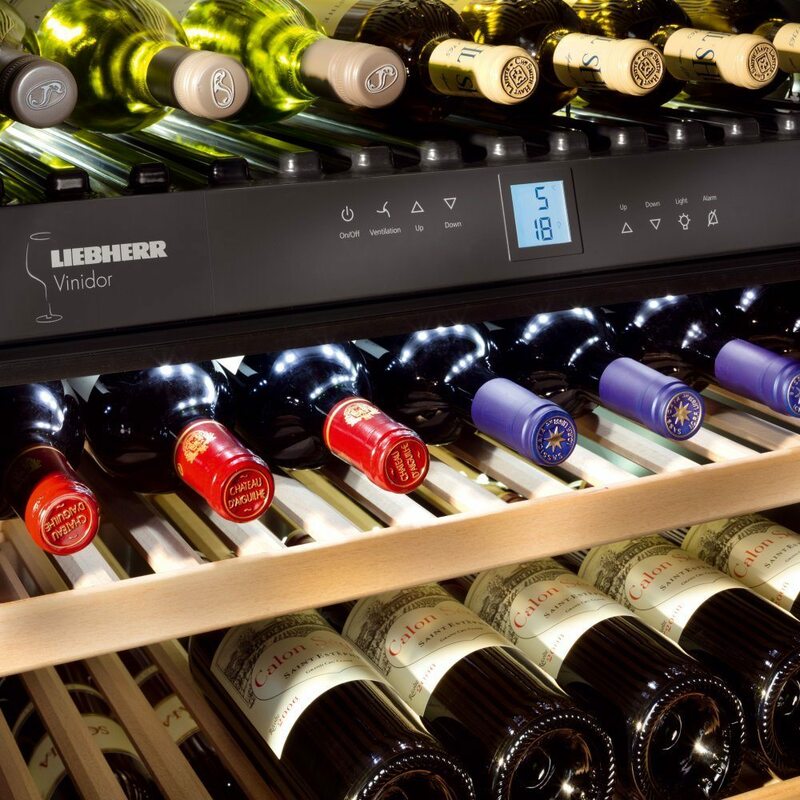 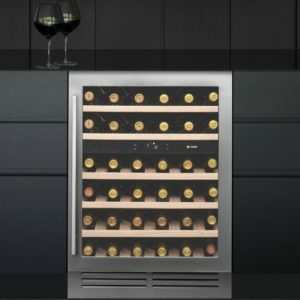 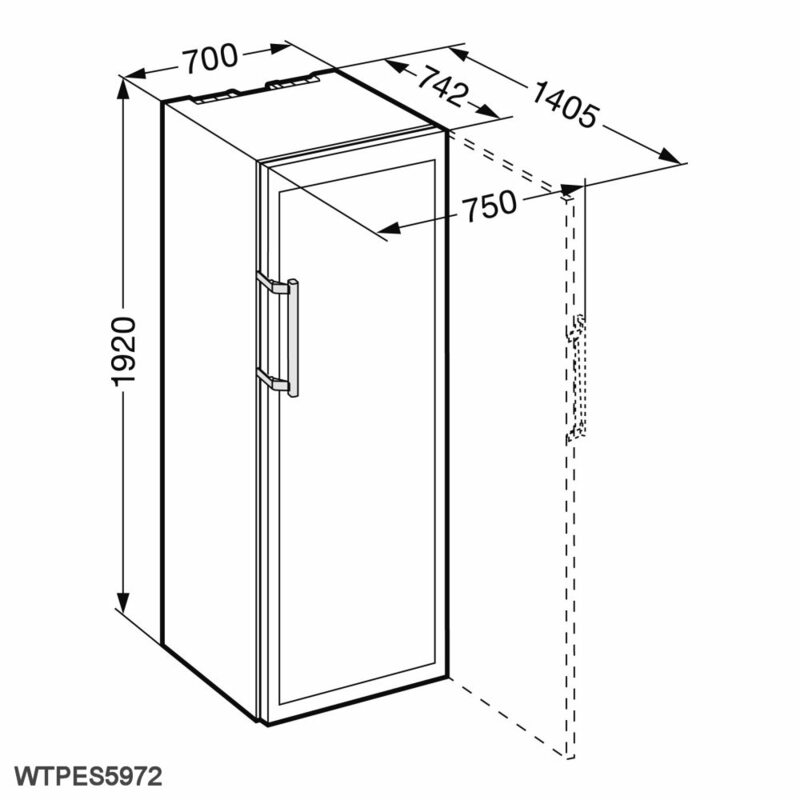 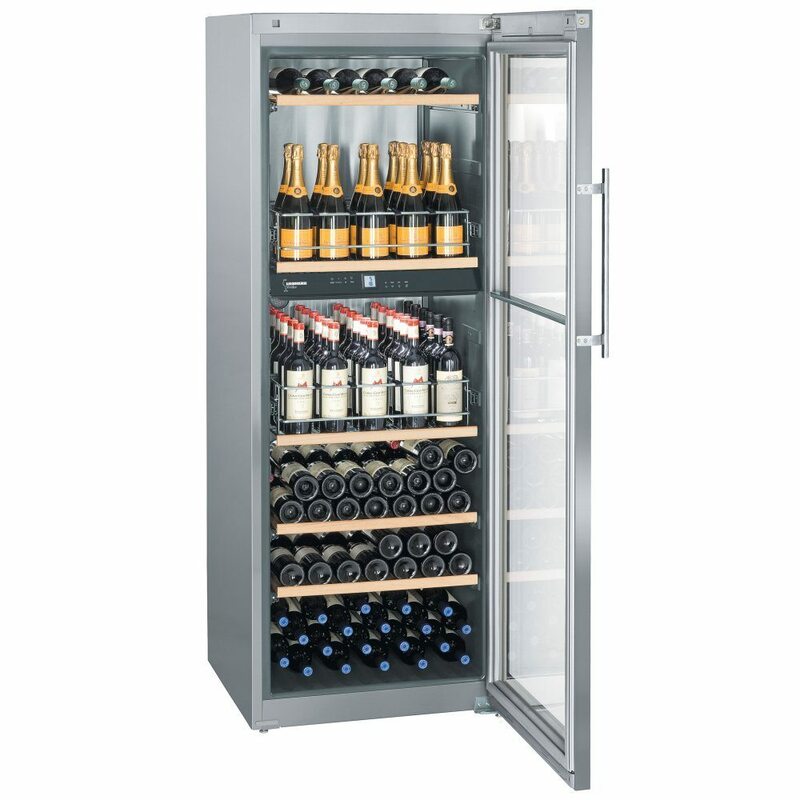 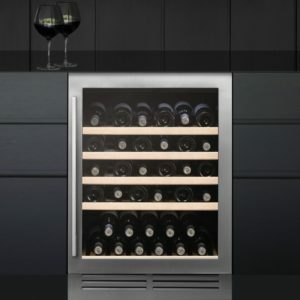 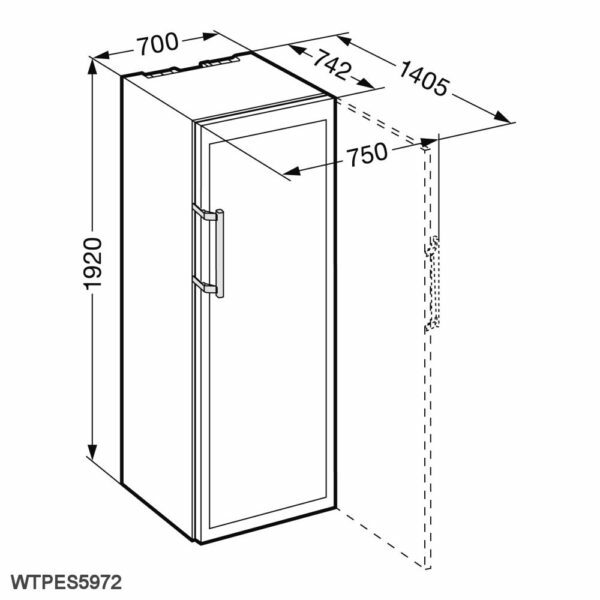 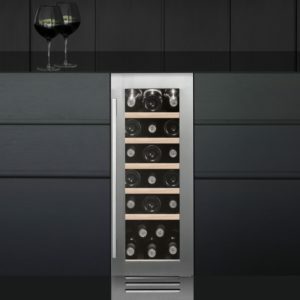 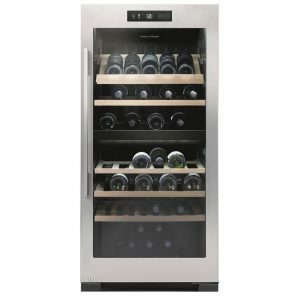 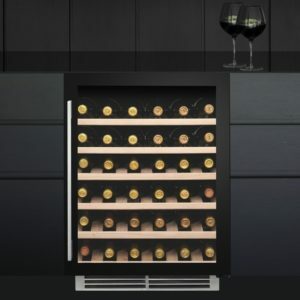 The unique design of the Liebherr Vinidor WTPES5972 wine cabinet allows you to stand bottles upright on the two telescopic shelves. 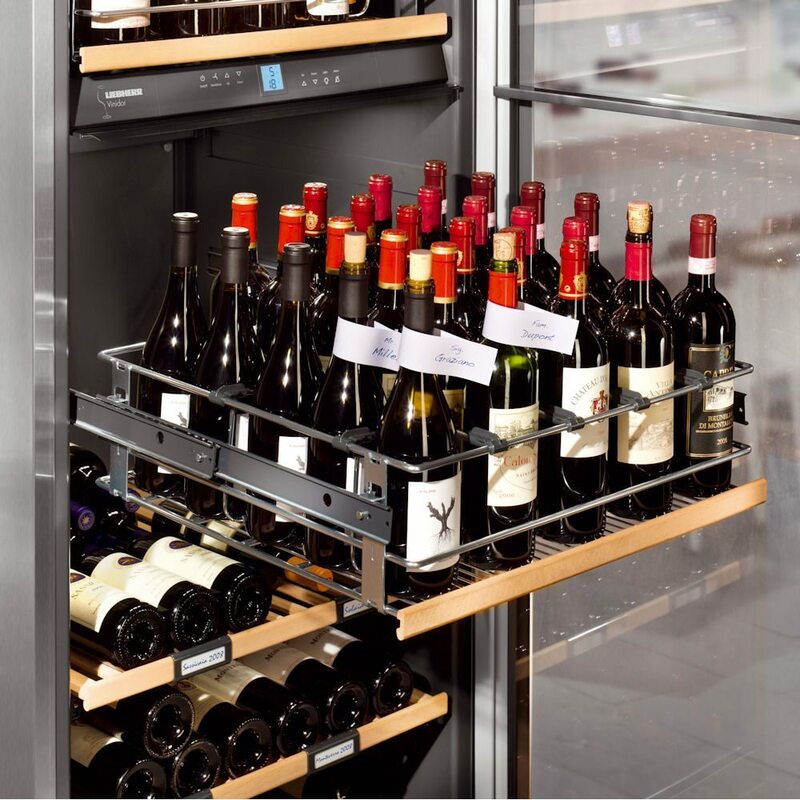 The remaining bottles are laid flat on the quality wooden shelves which also have telescopic runners. 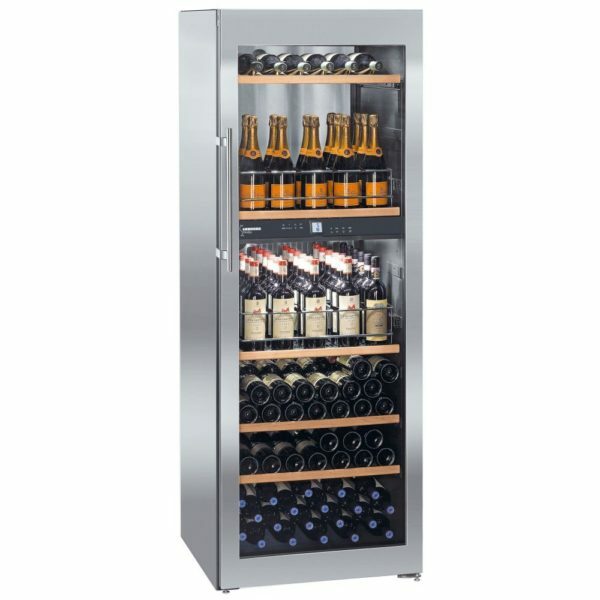 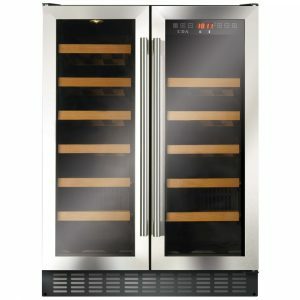 This unit is 192cm tall and 70cm wide and is finished in stunning stainless steel with an insulated glass door.